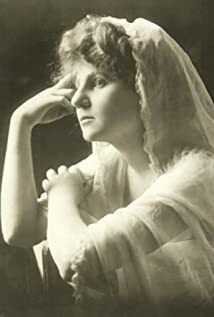 Florence Lawrence was born in Canada in 1886 and started her stage career as ‘Baby Florence the Kid Wonder’. She made her first movie The Automobile Thieves (1906) and soon became known as ‘The Vitagraph Girl’. Then Biograph started putting her in films, billing her as ‘The Biograph Girl’. The studio fired her when word reached them that she was negotiating another studio change, this time to Carl Laemmle’s Independent Motion Picture Company (IMP). In 1909 she signed with Laemmle and became, surprise, surprise, ‘The IMP Girl’. In St Louis, Missouri, in 1910, she made the first ever personal appearance of a movie star under her own name and it made her famous. Ticket sales to her movies skyrocketed and soon other studios began promoting their own stars similarly. After years of unhappiness and illness she chose to take her own life in 1938. She was 52 when she swallowed ant paste and later died in agony in hospital. Although she had appeared in over 300 films during her career, Florence was all but forgotten by the industry she had helped to create. Her grave at the Hollywood Forever Cemetery did not even have a headstone until 1991. Actor Roddy McDowall heard of her tragic story and took it upon himself to purchase a memorial for her. 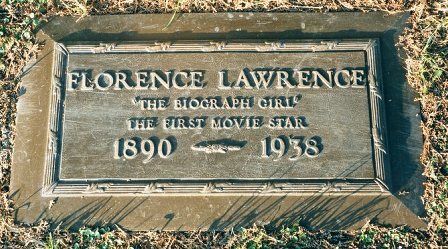 The stone reads: ‘Florence Lawrence, The Biograph Girl. The first movie star.’ A simple inscription but a fitting one. Elaine Jacobs was a 16 year-old schoolgirl when she first saw John Barrymore in Svengali in 1931, and made up her mind to marry him one day. At 19 she wrote the aging star an adoring letter and asked to meet him. He was laid up in hospital, having one his ‘cures’ for his chronic alcoholism, but agreed to see her. According to Elaine (who had by then changed her name to Elaine Barrie), he kissed her passionately, they fell in love and were married in 1936. Of course, the union was doomed. Barrymore’s drinking and serial infidelity saw to that and they divorced in 1940. He died in 1942 and Elaine was the only one of his ex-wives to attend the funeral. Before British blonde bombshell Diana Dors died in 1984, she claimed to have hidden £2 million in banks across Europe. She gave her son, Mark Dawson, a sheet of coded paper that, once it was decoded, would reveal to him the whereabouts of the money. His stepfather, Alan Lake, knew the key that would crack the code, but he killed himself without revealing it to anyone. The money has never been found. More than likely the name William Fawcett means as little to readers as it did to me until I started investigating a fifties/sixties TV series called Fury (1955-60). The show starred Peter Graves and a child actor named Bobby Diamond. The boy would grow up to be a civil and criminal law attorney in the late nineties. Fawcett was a regular in the series, portraying a wizened old ranch hand named Pete. In fact, he nearly always played old, grizzled eccentrics, mountain men and cowhands. It may surprise you to learn that before he started racking up his 296 movie & TV screen credits, Bill Fawcett was a Ph.D. and Professor of Theatre at Michigan State University! Looks can truly be deceiving. It might surprise the reader to learn that suave screen star George Sanders was trained in his youth as a singer. And he was pretty good, too. In fact, when lead singer Ezio Pinza left the Broadway production of South Pacific, George suddenly became obsessed with replacing him in Rodgers & Hammerstein’s smash hit. 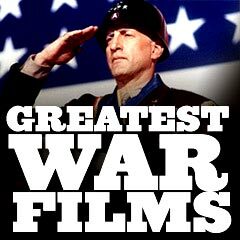 He auditioned for the great men, recorded all the show’s main songs, and then forwarded the tape to them for consideration. After much deliberation it was announced that George would indeed play the lead for the next 18 months. Contracts were signed and only then did Sanders begin to get cold feet. He knew his voice was good enough, but doubted he could trust himself to commit to the strenuous task of starring, day in and day out, in a big Broadway musical for such a length of time. George knew himself only too well. By nature he was indolent and prone to mood swings. He was convinced he would let everyone down sooner or later. So, he did the only thing he could think of; he feigned a bad back and produced a physician to support the phony diagnosis. Rodgers & Hammerstein reluctantly tore up his contract and we will never know how good he might have been. Although she appeared in 118 films, character actress Clara Blandick was primarily a stage performer. Even so, she has been immortalised through her portrayal of Judy Garland’s Aunty Em in the 1939 classic The Wizard of Oz. 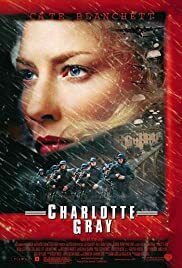 It was not a major part, but the movie itself has been seen by millions to this day and Clara’s image lives on accordingly. By 1950, however, movie work had pretty much dried up for her and she was suffering greatly from acute arthritis. When her doctor told her she was going to lose her eyesight as well, she made a decision to end her life before that happened. On April 15, 1962 she sat down and wrote a short goodbye note. ‘I am about to make the great adventure’, she began, before explaining that she could no longer endure the pain. ‘It is all over my body’, she wrote. ‘Neither can I face the impending blindness. I pray the Lord my soul to take. Amen.’ With that she lay down, placed a plastic bag over head and waited to die. She was 85. Because of their mutual liking for tennis, Errol Flynn and Charles Chaplin got to know each other quite well, although Flynn was quick to point out in his autobiography that, ‘I was a little better acquainted with his wife of the time, Paulette Goddard.’ Read into that what you will. Anyway, Errol observed that Chaplin, although always witty and charming, was usually bored stiff unless the conversation centred on him. Jimmy Durante, for instance, was a winsome, sweet and humble person, but Charlie thought of himself as ‘God’s gift to the world’, according to Errol. The Australian actor respected him for his work, but felt the man lacked humility in his private life. Didn’t Clara Blandick play “Grannie” in the 1937 version of “A Star is Born”? I could swear I saw her on TV tonight on Turner Classic Movies. Actually, Max, she played Aunt Mattie (uncredited), so you were not seeing things. John Barrymore- Years ago I found a bio. of him where I live. “I thought I was going back to New York.” He looks so TERRIBLE in that photo! 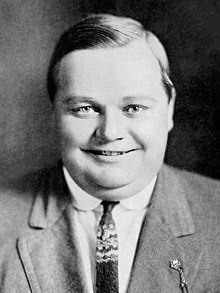 Well, Shiela, he was nearing the end of his life in that photo, of course, and was not a well man, but he sure was larger than life at the peak of his powers.